Doheny’s Crash Repairs is proud to be an approved bodyshop for PPG, the world leaders in autopaints. As a PPG approved bodyshop, we fulfil a number of special quality requirements that means we always comply with the highest standards in connection with working procedures, training, equipment, and the environment. Being PPG approved also means we possess in-depth knowledge of the latest types of coating and repair technology, which ensures the highest level of professionally performed work. For the customer, our PPG approval means you can be guaranteed perfect colour matching on all repairs carried out, using specialist paints that are quicker to apply and quicker to dry, guaranteeing a premium finish at all times. 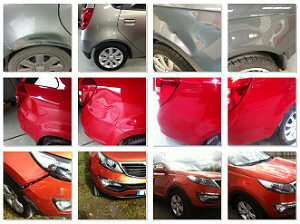 We have such confidence in our paintwork that all comes with a lifetime guarantee.